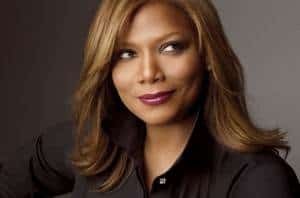 Queen Latifah has signed on to star in and executive produce, the updated contemporary TV adaptation of the play and 1989 film Steel Magnolias, according to Deadline.com. Phylicia Rashad, Alfre Woodard, Jill Scott, Adepero Oduye and Rashad’s daughter, Condola Rashad also joined the all-black cast. Steel Magnolias chronicles the lives and friendship of six women in Louisiana: M’Lynn, Clairee, Ouiser, Truvy, Annelle and Shelby, who support each other through their triumphs and tragedies. They congregate at Truvy’s beauty shop to ponder the mysteries of life and death, husbands and children � and hair and nails � all the important topics that bring women together. ‘The caliber of talent associated with this film is astounding,’said Lifetime’s president and general manager Nancy Dubuc. Kenny Leon is directing Steel Magnolias from a script by Sally Robinson which is based on the play and feature screenplay by Robert Harling. In the 1989 movie, the roles were played by Sally Field, Dolly Parton, Shirley MacLaine, Darryl Hannah, Olympia Dukakis and Julia Roberts. The new Steel Magnolias reunites Queen Latifah with Zadan and Meron years after co-starring in Chicago and Hairspray. The remake is slated to begin production next month in Atlanta for a debut later this year on Lifetime Movie Network.